If you’re on a software team, you probably use the default Jira workflow or something close to it. But what if you’re on a business team or the default options don’t fit the way you want to work? Then it’s time to create a custom workflow. 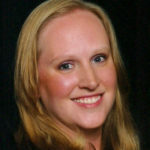 The “Contract” issue type requires additional statuses for approval and execution steps that occur in a contract review process. In the beginning, keep workflows as simple as possible, until you’ve uncovered a deficiency or process step that needs special attention. Before creating a new custom workflow, have the user explain their real life process to you. The workflow should be as simple as possible. First, draw (preferably on paper) a workflow to ensure it makes logical sense and all forward and back transitions are accounted for. 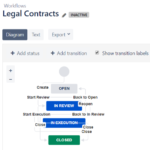 You can use the “Custom Workflow Documentation” template in the Jira Strategy Admin Workbook or in ThinkTilt’s Process Template library as a way to communicate and document workflows. After drawing the workflow, write the workflow out in words. This can uncover additional needs you may have neglected to draw or consider. Include logical backwards transitions so users can self-manage issues. Give users options to abandon or stop progress on issues at appropriate times. Give project-level administrators appropriate options to fix improperly transitioned issues. Example: Include a “reopen” transition button in the final status to address issues that were improperly closed. Use transition conditions sparingly. If a condition is needed, set the restriction to a project role, rather than to an individual, for easy maintenance. Use transition validators and post functions to minimize the amount of manual work a user has to do. Automatically assign an issue to the reporter when moving to an “information needed” or “verification needed” type of status. Automatically assign an issue to the Project Lead in a “triage” type of status. Automatically move a parent issue to “In Progress” when a child issue starts progress. Name statuses so they reflect the current state. Good status names immediately tell a user what is occurring and what state an issue is in the workflow process. For example, “Pending Review”, “In Review”, “Being Reviewed”, “Awaiting Review”, etc. Make any status names short and easy to understand what is happening. Long, multi-word names are harder to query and may be truncated on certain screens. A Transition name should be short and reflect an action taken. Bad transition names confuse the user about how to move forward. Example: “Review.” A transition button should signify the start or end of an action. The word “Review” is ambiguous. If a user clicks “Review,” does that mean they should start a review or that the review has already occurred? It’s easy to customize workflows and therefore easy to go overboard, creating more structure than you really need. 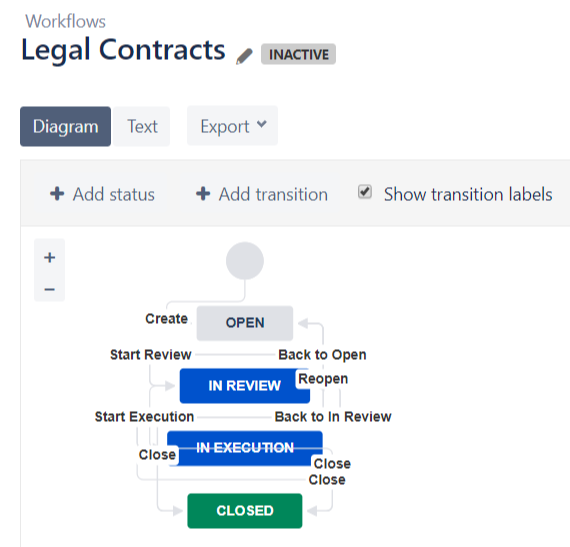 It’s certainly possible to capture every little step in your work process and build that into a complex and long Jira workflow. An alternative however, is a phased approach. Simply break your process into phases that represent a collection of smaller steps. The phases represent key decision points. An issue can’t be moved to another phase until the requirements of that phase have been satisfied. Your Jira status represents the entire phase, rather than a status for every small step in the phase. A generically named status like “In Review” is better than a legal-specific name like “In Contract Review”. Other Jira projects can use the generic version regardless of what type of thing needs review. You want to share assets and schemes between projects as much as possible. In the “In Review” phase, the Legal team is reviewing the contract, researching legal topics, communicating with internal teams, negotiating terms with the external company, etc. In the “In Execution” status, the CEO is finding his favorite signing pen, both companies are trading paperwork, and your Legal team is entering the final result into their contracts database. In the above example, is it useful to create a status for every step that occurs in the contracts process? Do you need to track how many times the contract was modified during the review process? Do you need to track which parties have signed the agreement so far? If the answer is “no” a phased approach may be more useful. Also, it might be more useful to track signature collection in a custom field. If you’re not going to report on something (ex: “How many contracts have been signed by us?” in the above example) that status or custom field may not be necessary or useful. Don’t over-complicate your custom workflow with steps and statuses you don’t really need. Your end users will thank you for it. Hi Rachel. Thank you very much for your insight. I inherited a challenged JIRA instance (v7) and my team recently has transitioned from one organization (reporting relationship) to a new structure (where JIRA/Agile is not an option, but a mandate). I have tried the youtube videos on various JIRA Admin features/functions – but it’s not really helping. 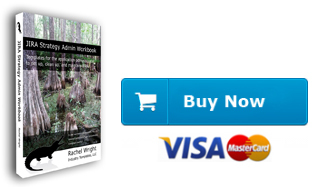 I am going to buy your book today after reading your blog posts. I NEED HELP! I need to do a re-set on what we have configured currently and modify the workflow/issue transitions asap. Also working with a few sub-teams (Some using sprint delivery models, others forever tied to KANBAN boards). So I need a handy reference guide that is easy to read with great steps/insights to help me improve the current pot of stew. Hi Kelly, thanks for reaching out. I’ve been exactly where you are; you should see some of the workflows I’ve fixed! But don’t worry, small changes and clean-up efforts can have a big and lasting impact. I know you can get your instance working the way your company needs it to. Previous Previous post: System, Application & Project Admins: Who Does What in Jira?